The U.S. Fish and Wildlife Service (Service), in partnership with the Pucker Street Dam Team, is announcing the availability of the Final Environmental Assessment (EA) and Finding of No Significant Impact (FONSI) for the Pucker Street Dam Removal and Dowagiac River Restoration Project. The Pucker Street Dam Team is comprised of the following agencies: City of Niles, Southwest Michigan Planning Commission, Wightman & Associates, Inter-Fluve Inc., Michigan Department of Natural Resources, Wood Environment & Infrastructure, Inc., Michiana Land Services, Wightman Environmental, and Fahey Schultz Burzych Rhodes. The EA was prepared pursuant to the National Environmental Policy Act (NEPA) process and provides a description of the overall project purpose and need, alternatives considered as part of the analysis and an assessment of impacts from project alternatives. The City of Niles is working with partners to restore the Dowagiac River to a free flowing river by removing the Pucker Street Dam. The Potawatomi Resource Conservation & Development Council and several partner organizations completed the St. Joseph River Watershed Fish Migration Barrier Inventory in 2011 funded by USFWS which ranks the Pucker Street Dam as the highest priority dam in the entire watershed for removal. 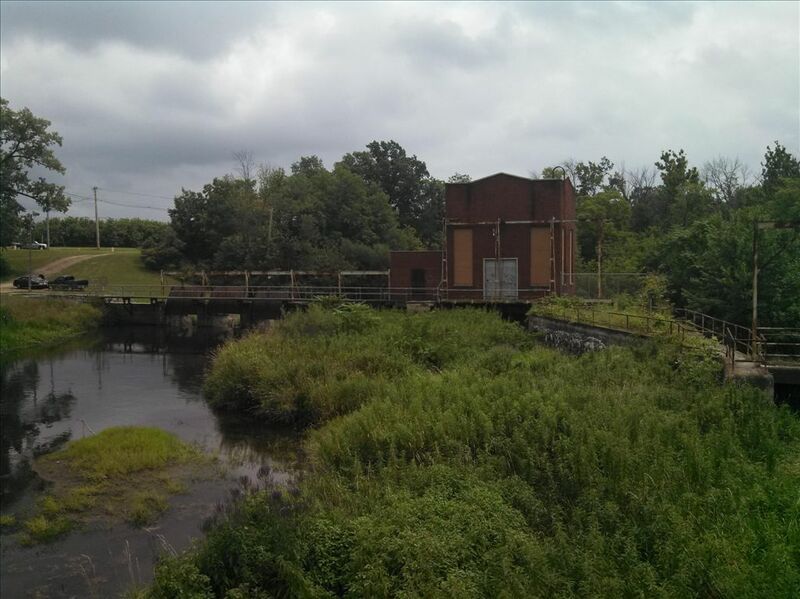 Pucker Street Dam is located only about 3 miles from the confluence with the St. Joseph River and is responsible for closing off almost the entire Dowagiac River Watershed and all of its tributaries (159 miles) to the St. Joseph River. Coldwater streams with a high gradient are rare in southern Michigan. Removal of the Pucker Street Dam will restore approximately 2 miles of this high gradient habitat immediately upstream of the dam. The Pucker Street Dam currently blocks the upstream migrations of fish species such as steelhead, Chinook salmon, coho salmon, brown trout, white suckers, and walleye to more than 159 miles of main stem and tributary habitat in the Dowagiac. The Dowagiac River is an incredible asset for southwest Michigan with even more potential once the river is restored to a free flowing condition. Economic Recent studies and investigations indicate that restoring the dam for hydro-electric power generation is not feasible. Further, in 2013 after an inspection, MDEQ rated the dam as a significant hazard. MDEQ is willing to hold off on requiring repairs if the City moves forward with removal efforts. If the dam remains, repairs, liability and management will continue to significantly burden the City with financial obligations and staff resources. Ecological The Dowagiac River, because of the unique glacial geology and limited urban development in the watershed, is a large cold water river. In southern Michigan, there is no comparable cold water river system of this size and with the potential for a high-quality cold water fishery. Removing Pucker Street Dam will benefit fish and other aquatic wildlife habitat and improve hydrologic conditions and water quality. Social The Pucker Street Dam is a safety hazard for recreational users and its removal will improve safety for many users (anglers, kayakers, canoeists and tubers) and offer improved recreational opportunities. The project will also help the City of Niles dismantle a structure that served a useful purpose at one time, but now has become an eyesore, liability and a nuisance for management. Partnerships There is great momentum to restore the Dowagiac River system. A significant channel restoration and floodplain re-connection project was completed upstream at Dodd Park. The Pucker Street Dam removal is a critical component of restoring this river system. - Remove the Pucker Street dam to provide ecosystem restoration that eliminates habitat fragmentation, creates fish passage, and allows for connectivity in a system that supports ecologically diverse habitats upstream and downstream of the site. - Restore the physical and biological processes to reference status, or better, of the existing conditions in the watershed. - Remove an unsafe and deteriorating structure. - Contribute to the overall goal of expanding and enhancing a unique and popular large cold water fishery in southern Michigan. - Ensure public access for fishing and paddling/boating is improved. The data collection phase has been completed. The concept development phase is completed..
Data Collection: The depth of refusal to find the original stream channel location, topographical survey, hazardous material investigation of the building, sediment sampling and soil borings are complete. The volume of sediment is more than expected and original channel depth and location will have more impact on the upstream Pucker Street bridge than anticipated. Additional data on wetlands and endangered species was conducted Summer 2016. Concept Design Development: This phase is complete. This step has involved landowners and the public. Final Design/Obtain NEPA and SHPO approvals/Obtain Permits/Develop Bid Documents This phase is in process. SHPO approval has been received. The MDEQ permit has been applied for and MDEQ held a public hearing on the permit application. A public comment period was held on Draft Environmental Assessment and the Final EA has been completed and a Finding of No Significant Impact has been issued by the US Fish and Wildlife Service. Bid documents are being prepared. Dam Removal and River Restoration: Build access roads, remove trees, dredge and manage sediment, sculpt river channel, stabilize bridge structure, build a coffer dam and demolish dam, stabilize river channel where needed and plant banks /riparian areas. Expected to begin in 2019. Monitor Results: There are plans to monitor the stream channel and fish populations to ensure the project objectives are met. The City of Niles is applying to many sources to help fund the dam removal and river restoration project.